If you are a talented professional, and you are looking for an alternative to working for someone else in their beauty salon, then this article is for you. Read it and then call (817) 823-7105 for information which can change your life. We know exactly where you are at working in a beauty shop. It’s the reason we started Salon & Spa Galleria many years ago. What’s wrong with working in a beauty salon? Nothing if you enjoy spinning your wheels and going nowhere! Call that number above if you are ready for a change! Booth rental vs commission, that’s what it comes down to. Working in a beauty salon means working for commissions; that’s how most of those arrangements are set up, and working for commissions means you will never, ever, make the money you deserve. That type of system is set up for the owner of the salon to make the majority of the profits. The alternative choice, the one which gives you the best chance at succeeding and, in fact, thriving in the beauty industry, is booth rental; in this option, you rent a salon suite in a building which houses multiple salon booth rentals. You pay a weekly or monthly suite fee and while you lease that suite you have your own business in that suite. Think of it as a mini-beauty shop. Where normally there might be five or six chairs in a beauty salon, plus rinsing stations, your business would have one or two chairs plus one rinsing station, and you are the only beautician. It would sort of be like doing hair styling in your kitchen except instead of a kitchen you are in a professional setting. That’s what we do at Salon and Spa Galleria, we provide the professional setting. We also provide state-of-the-art equipment, HDTV, WiFi, marketing assistance, a washer and dryer, security monitoring, 24/7 access, a full-time concierge, and much, much more. We provide all of that, you provide your talent and expertise, and we all live happily ever after. 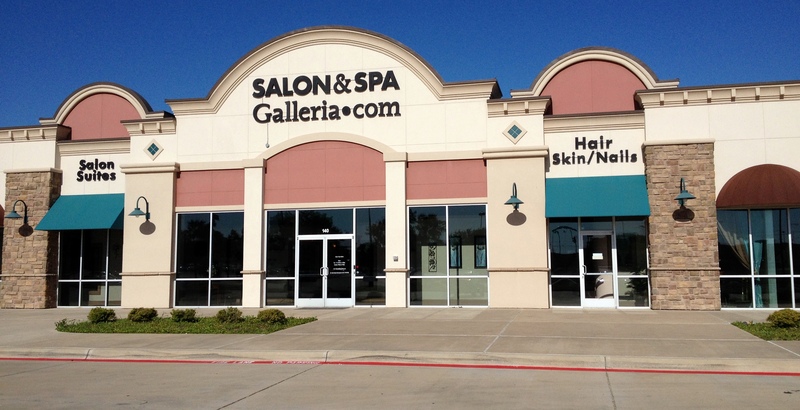 Salon & Spa Galleria has ten convenient locations in the Greater Fort Worth area including in Fort Worth, in Arlington, in Grapevine, Bedford, Mansfield, and the Alliance Area, with more locations currently being built. We offer luxury salon suites for as low as $50 per week. We are locally owned and operated, and all of our locations are on major arterials in the heart of very busy commercial areas. It is a recipe for success you really need to consider! Be honest with yourself: you really can do better than what you are currently doing in that beauty shop owned by your friend. You have the talent. You have the skill and the drive to succeed. All you need is the platform which gives you the opportunity to succeed, and Salon & Spa Galleria is that platform. Call the number above and check out this great beauty salon alternative. Talented professionals like you should reap the whirlwind of success, don’t you think? That’s what Salon & Spa Galleria is, your own personal whirlwind of success.